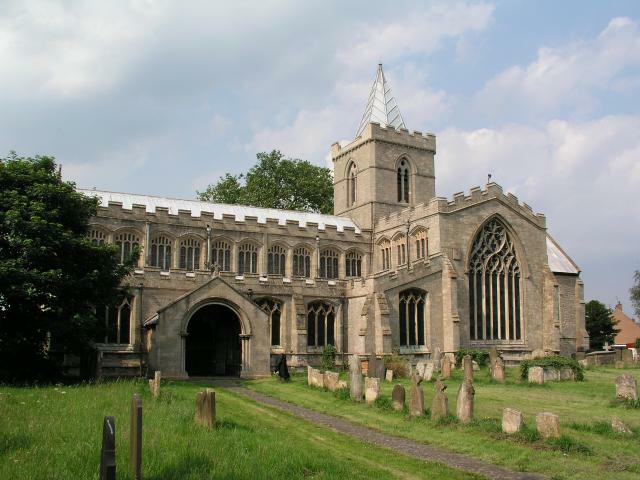 William Webster was born at Wyberton, a small village near Boston in Lincolnshire, probably in 1822 based on census and birth record data. After an apprenticeship with a local builder, he set up his own business restoring churches – amongst his early work was restoring the partially 9th Century church of St Peter & St Paul, Algakirk (pictured below via Wikipedia Creative Commons) with the renowned architect, Sir George Gilbert Scott, work which was completed in 1851. He gradually took on larger work further south, including asylums in Cambridgeshire and Hertfordshire in the latter part of the 1850s. He moved to 1 Grove Place in Lee (now Belmont Grove) around 1860 – he, his wife, mother, three children and two servants were there in the 1861 census. 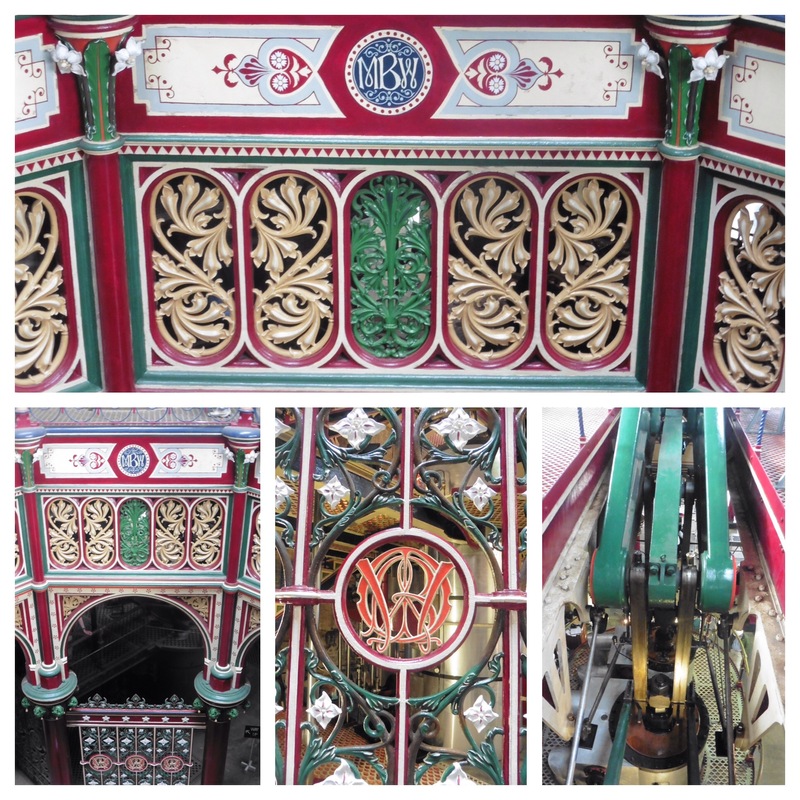 He won several contracts for projects led by Sir Joseph Bazalgette including several of the northern Thames Embankments to allow for the construction of the Circle Line and sewer system, and several sewage pumping stations – notably Crossness in Thamesmead. Opened in 1865, the building is impressive from the outside, built in a Romanesque style, but once inside it becomes clear why it is often referred to as ‘Cathedral on the Marshes’ – it has magnificent cast iron work, that has been painstakingly restored and is well worth a visit. Webster’s name is cast into some of this. 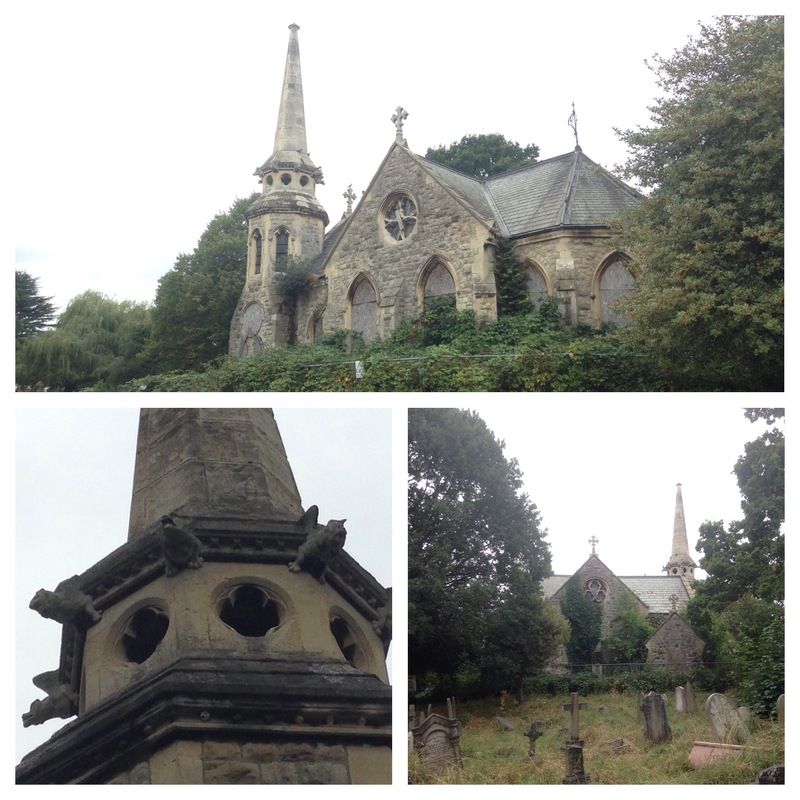 The Dissenters Chapel at Hither Green Cemetery dates from a decade later, opening in 1873, when it was referred to as Lee Cemetery. The Gothic building has some stunning detail – including some wonderful gargoyles in the small spire. It suffered from World War 2 bomb damage and has been boarded up and allowed to decay since. Its neglect gives it a slightly eerie feel, and, perhaps, adds to its beauty. Stone fronted with polished granite decorations, other sides stock brick. Slate roof concealed by parapet. Slightly irregular building of 3 storeys ; 7 windows. Panelled parapet. Cornice of alternate paterae and brackets. End windows set back. End quoins. Windows have cambered architraves with keystones and stops. First floor windows have cornices and brackets and window over porch has pediment on brackets. Porch has granite columns, fretted balcony and 4 steps. Three-light canted bays either side, the right side window with glass removed for chapel use. The wealth also allowed a large number of servants – this grew from two in the 1861 census to six in the subsequent three – it wasn’t a house where servants would get any long service awards though, none of them appeared in more than one set of enumerator records. William Webster died in 1888 and was despite his building the dissenters’ chapel at Hither Green Cemetery, he was interred at St. Margaret’s, Lee just over the road from where he lived. 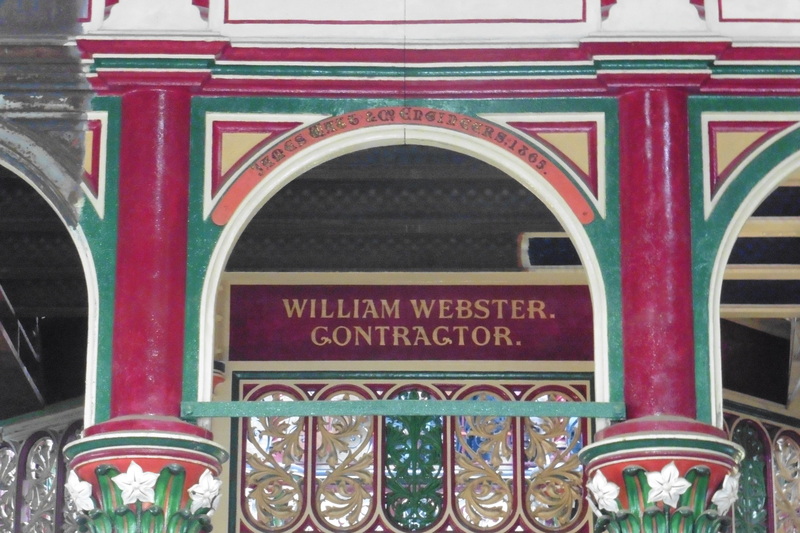 Oddly for what was such a large company, it seemed to have disappeared almost without a trace – it certainly traded after William’s death, seemingly taken over by his eldest son, also William, who was listed as a contractor in the 1891 census. 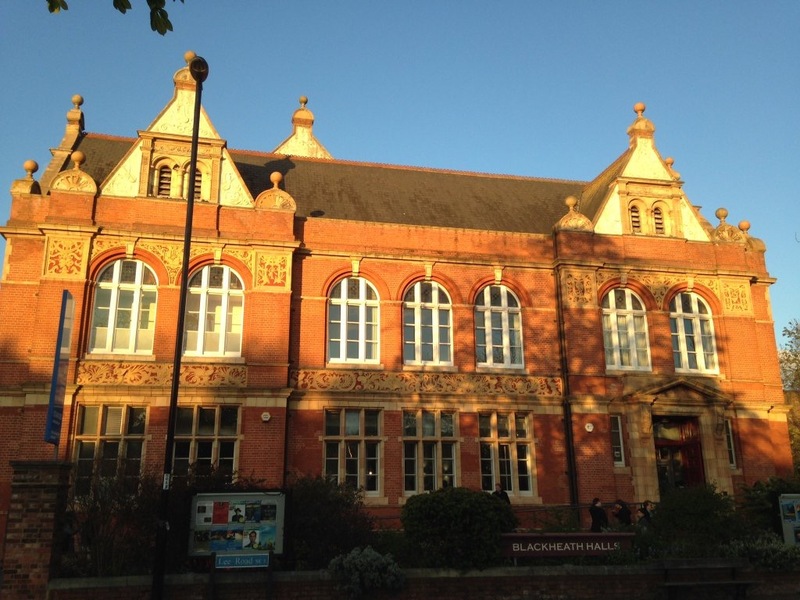 Blackheath Concert Halls built in 1896, was constructed his stewardship. However, it seems that the firm was sold up or folded soon after – by the 1901 census William was listed as a ‘Scientist, Living on Own Means’ – William was to die during the next decade, probably in 1904. As for Wyberton House – after William Webster’s (senior) death, several attempts were made to sell the property during 1890 but to no avail (1), and William (junior) was living there with his family when the census enumerators called in 1891. 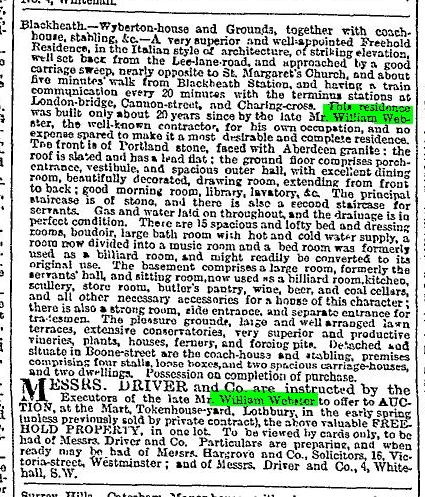 William moved on to slightly less grand surroundings, in 1901 he was at the now demolished 50 Lee Park (a few doors up from the bombed Christ Church) add link. It seems that there were few takers for the mansion his father had built as it was often empty. 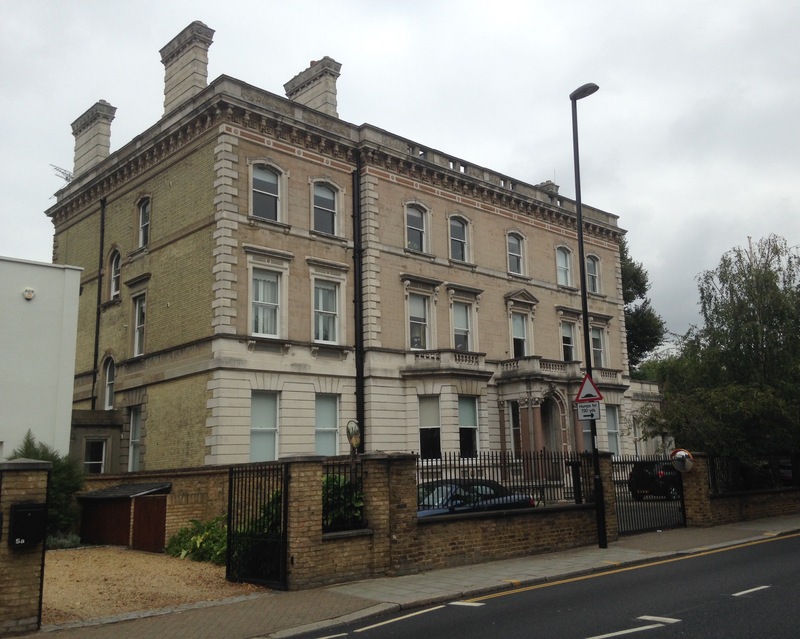 The House eventually found a long term use in 1906 when Knightsville College for Girls, moved from their previous home in what is now called Lewisham Way. The College, run by Alton (or Altro) Knight had around 75 boarders in its previous location. After the First Word War, the building was taken over by St Joseph’s Academy and it remained in their use until the early 1990s – amongst the pupils that would have passed through its doors were the author David Lodge, the sprinter John Regis and the footballer Jlloyd Samuel. The house was converted into substantial flats after its use by St Joseph’s finished. 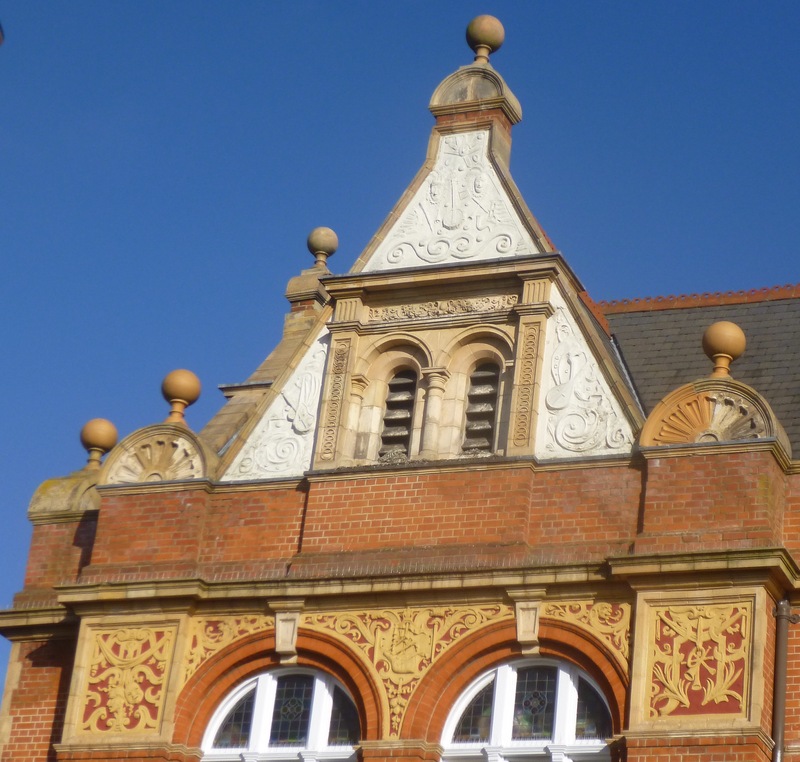 This entry was posted in Blackheath History, Lewisham History, Listed Lewisham and tagged Blackheath Concert Hall, Crossness, Hither Green Cemetery, Lee Park, Lee Terrace, William Webster on October 13, 2016 by Paul B.